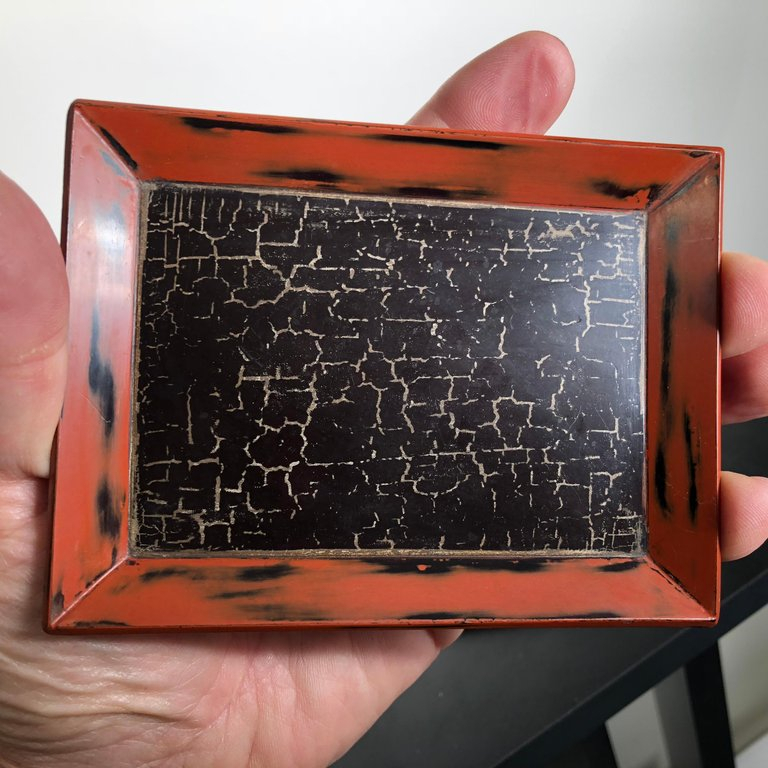 Seldom found now and dating to early 20th century. 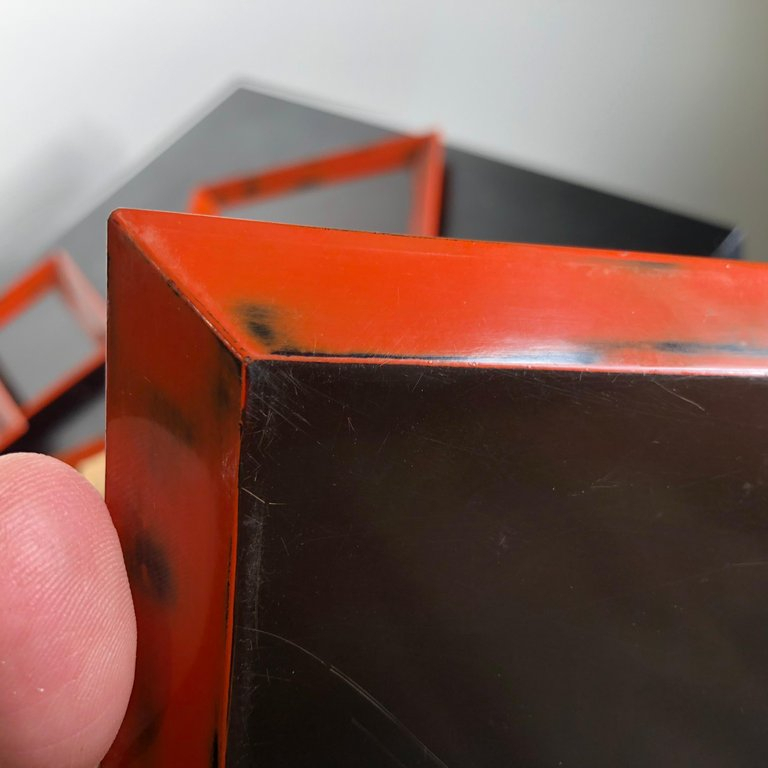 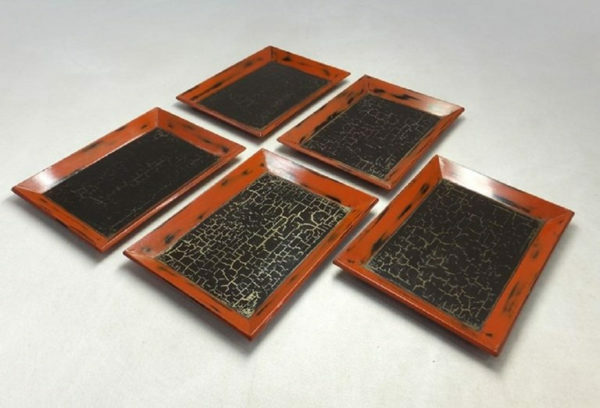 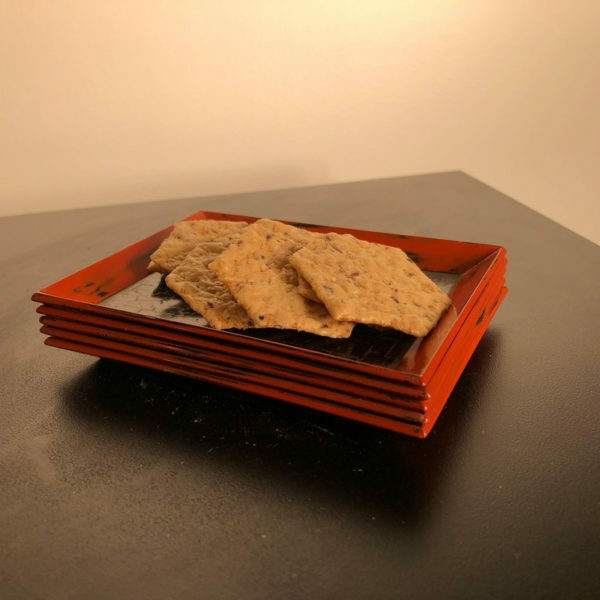 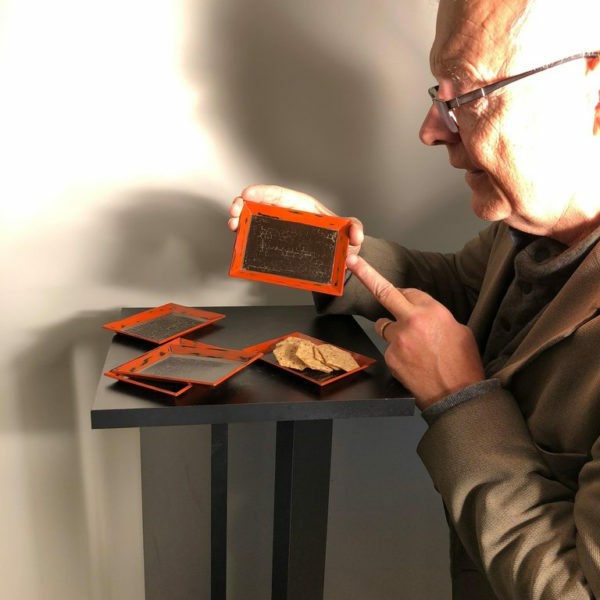 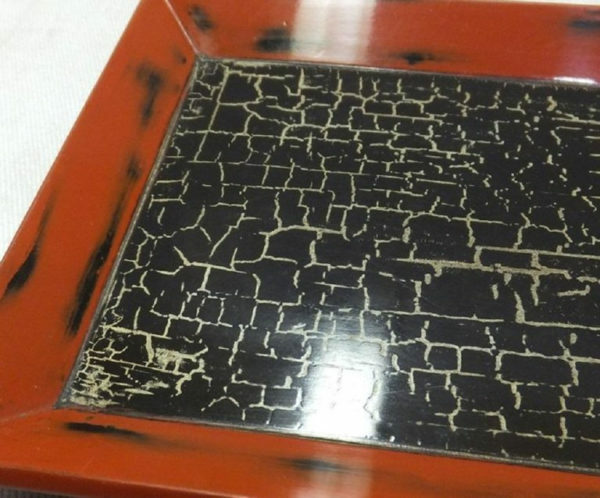 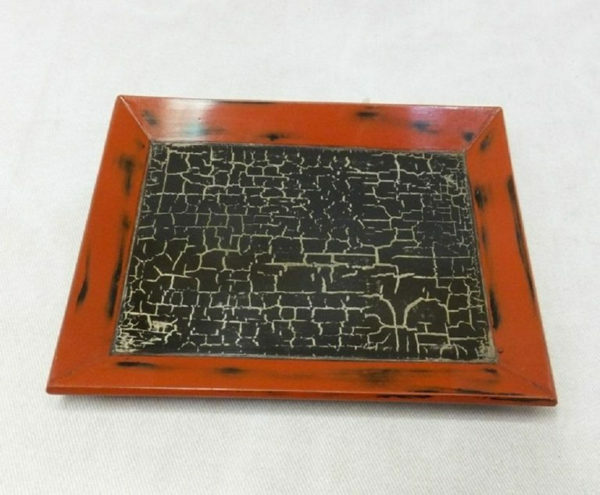 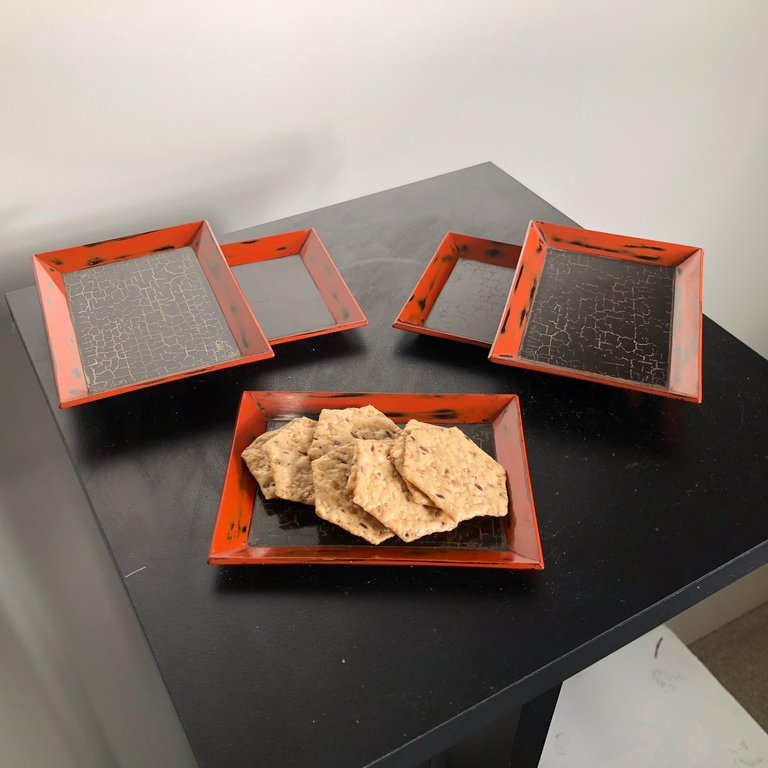 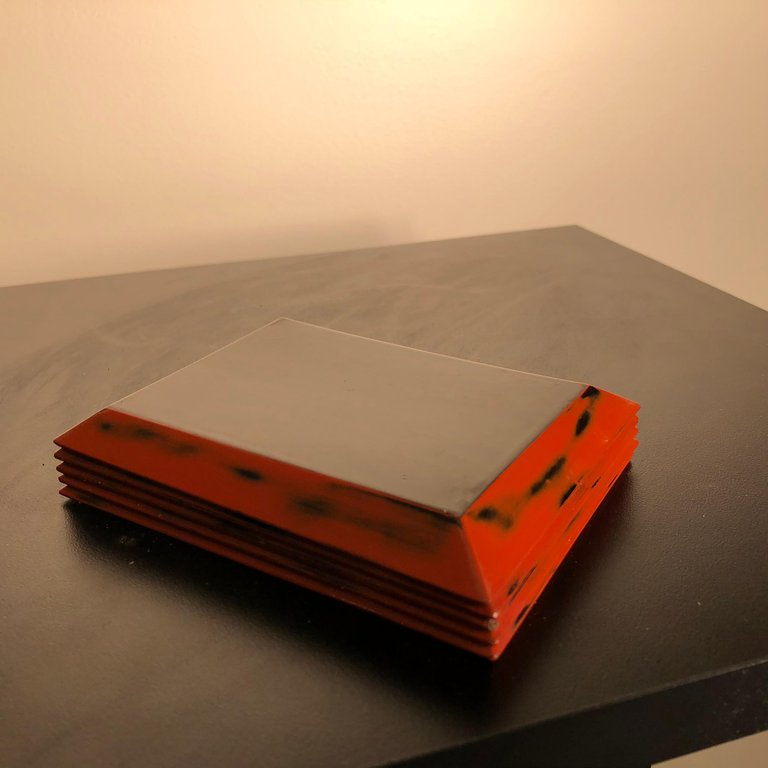 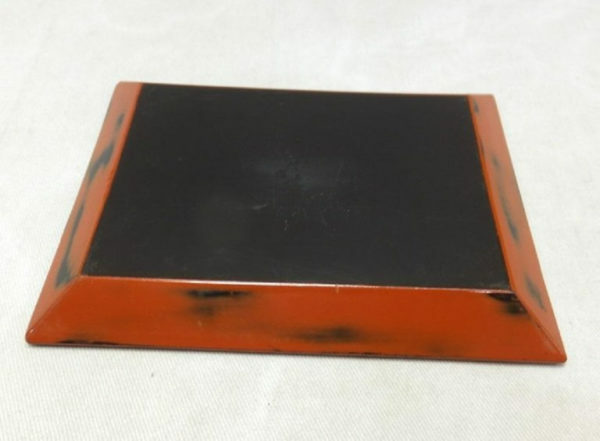 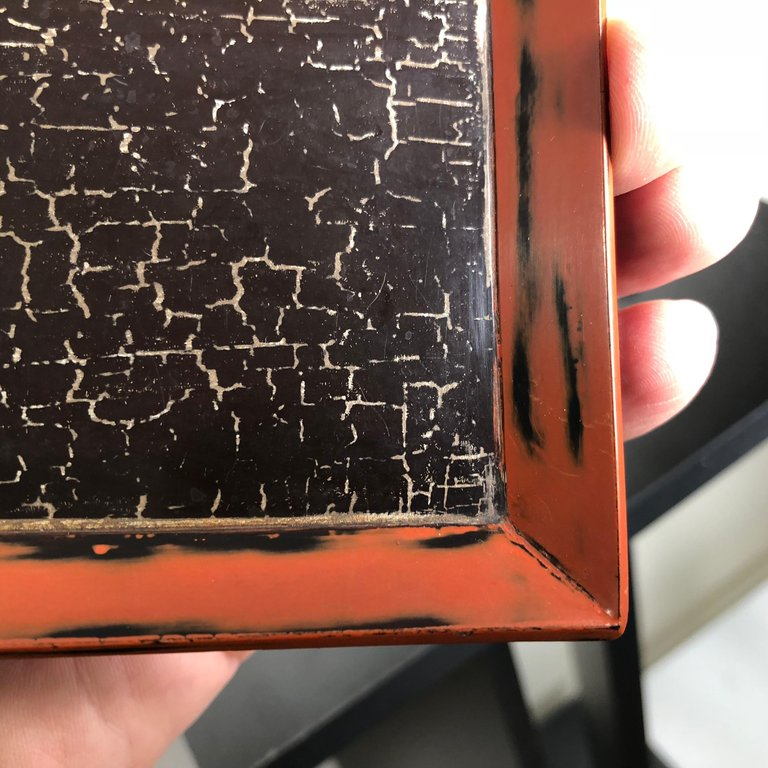 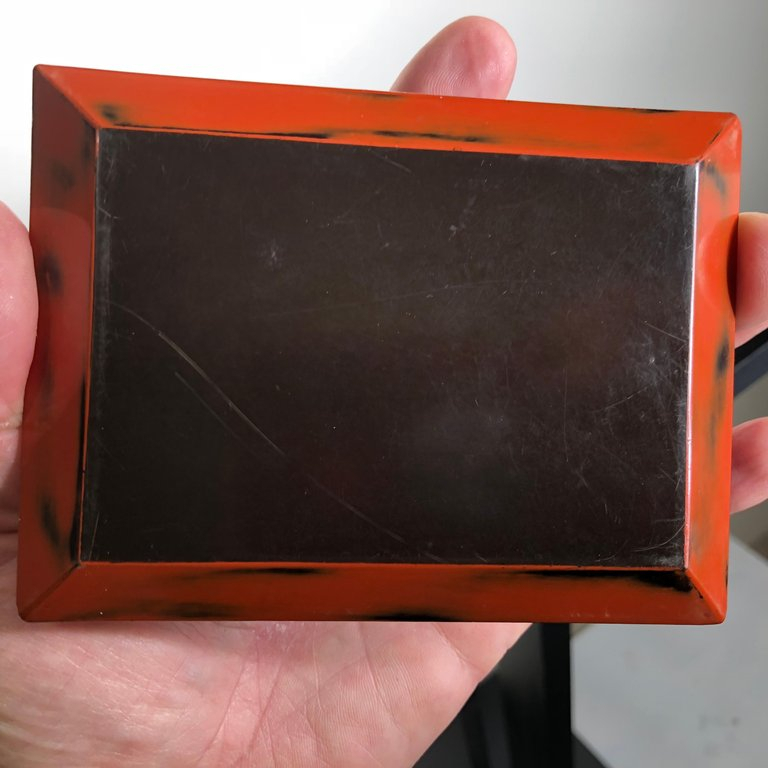 A superb Japanese handmade and hand lacquered serving plate set of five (5) rectangular plates crafted in the rare Meimei-zara , Negoro red and black crackled lacquer. 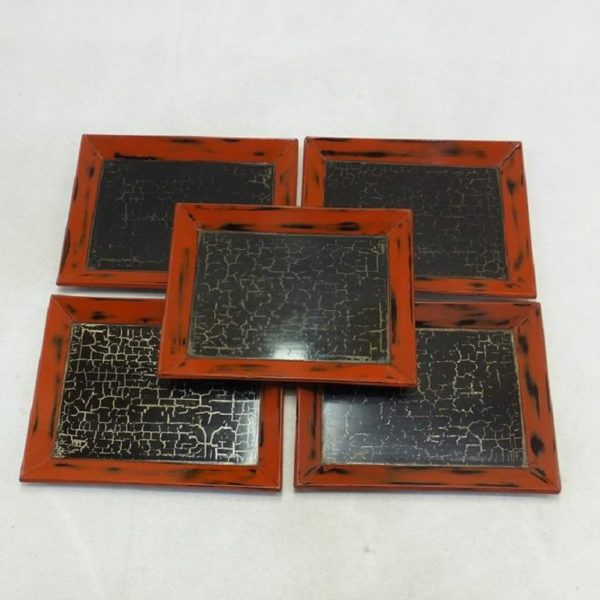 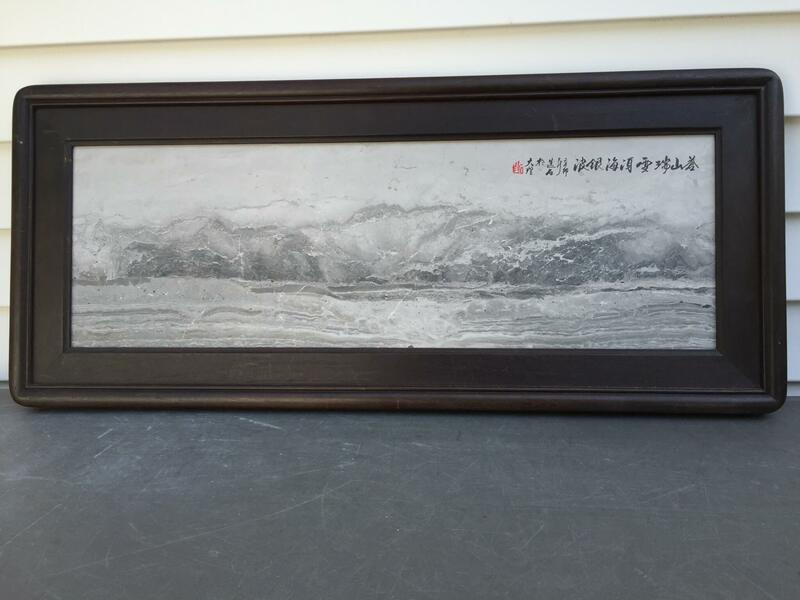 These are painstakingly made one at a time, by hand using renown 30 layer lacquer crafting. 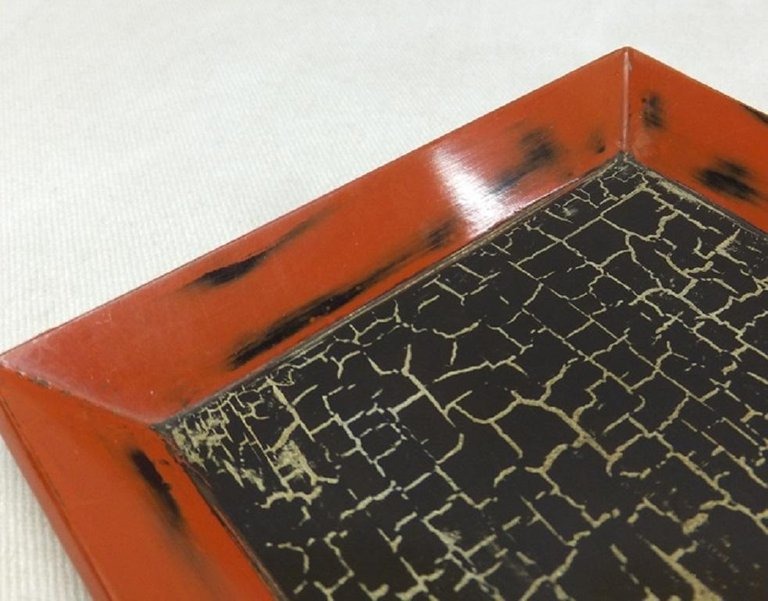 NEGORO-nuri is lacquer ware of Wakayama Prefecture with the oldest lacquer crafting history in Japan. The origin is the NEGORO temple. 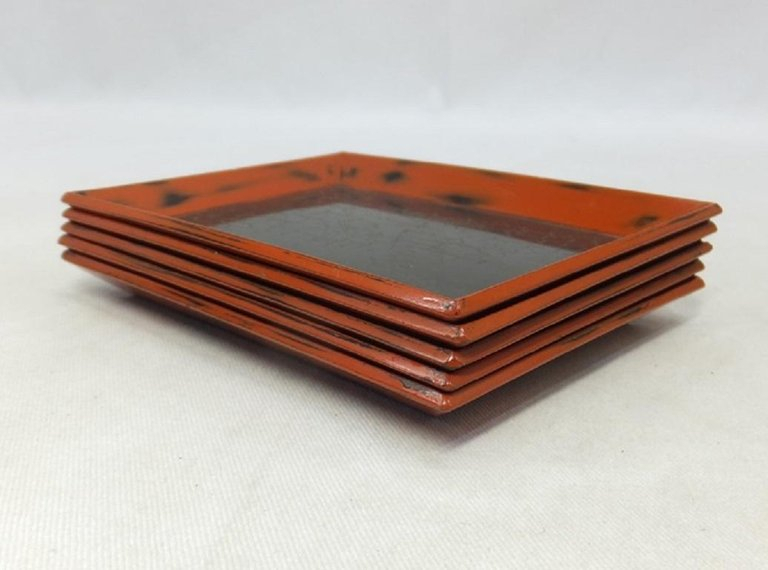 perfect for entertaining with these classy old plates.